First and foremost, this new Warcraft is for the alts (experienced players who start new characters) and new players. Many of the changes come in the form of old areas that are different due to the destruction by Deathwing (if your lost here, this article might not be for you). Other big changes are new quest line for low levels, and what new characters start with, along with new classes for races that could not previously use them. Now for an altaholic like me, this is the greatest patch they have released so far. My highest level character is 72 so end game content is not nearly as important to me as it is to some. But with new toons come new starting storylines and new questlines, faster leveling, and additions like pets or weapons from the start. Also if your class can use a certain kind of weapon, then you can use it right away, eliminating the need to find a weapons trainer and spend gold to be able to use it. And, as mentioned above, there are new classes for the races. My favorite thing was finally being able to role a Human Hunter, who starts with a pet (as opposed to getting one at level 10). But there are some things that are still locked. You can’t fly in Azeroth yet, can’t play as a Worgen or Goblin, and can’t learn the new profession, Archeology. 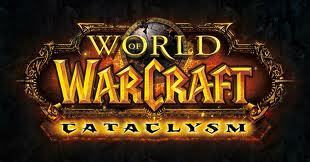 All that will come on Dec. 7th with Cataclysm . But there is one glaring problem. There used to be portals to major cities from major cities. This might not be a big deal for toons between 1-50, but once you start getting up there, a player learns that the world of WoW is huge! So now, the trade chats are full of people wanting to buy portals from Mages. And they are getting rich off of it. It’s an annoyance to be sure but one we will either have to live with or wait out until Blizzard patches it. Oh ya, and with all the new players either coming back or the high levels returning from Northrend, Stormwind City and Orgrimmar are terribly lagging for anyone but those with the most powerful rigs. Omg, must now buy Cata. I'm really excited that I can get all the gear with 10m raids. I'm really looking for something casual. Although, I have heard that you can buy 25m Guild Items. This is the only reason I haven't quit my guild and left my current server. Oh yeah, sick review, thought if was from a magazine at first, lol.